Michael Barry-Rec began his musical career at a young age. Fascinated by the guitar, he has pursued his dream pushing the boundaries every step of the way. 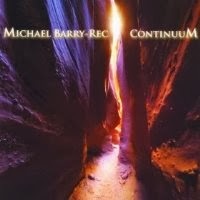 Four days in the Montrose Recording studio with one of the last five functioning Flickinger analog consoles and an all-star supporting cast of guest musicians brings us the newest Michael Barry-Rec album, Continuum. Elements of acoustic and steel lap guitar cover blues, Americana and everything in between. Contributing musicians include George Winston (piano), J D Foster (bass), Johnny Hott (drums) and Adrian Olsen (hammond organ). Opening up with “Rendezvous” I was immediately transfixed by the strumming old fashioned growl of the guitar and the roll your eyes back in your head composition. Slow and deliberate, like a rendezvous with a lover, this piece is all about exploration. It is dynamic and full of vision. You know that saying about anything worth doing is worth doing well? Barry got the memo. This piece was the perfect lead in and had me hooked for a good solid week of listening in a trance. “Sanctum” features the piano prowess of George Winston. If you close your eyes and just see the music in your mind, you can imagine walking into an inner sanctum where all you hear is the essence of sound. No worries. No schedules to keep, no traffic deadlock, no anything. Just music. A sanctuary of audio euphoria, it took me away from my hectic day when I needed it most. The execution of this piece was flawless creating a focused musical experience. “Shake Rag Shuffle” is a fun piece that shakes its rhythm out with a funky bluesy beat. Rattling percussion, bass and some gritty guitar playing spin this track into hot house life. Rock and roll takes a bite out of this tune, smoky flavors giving it a tangy essence that is full of life and texture. This piece falls in the Americana rock range of the spectrum and I enjoyed it immensely. “Buried in the Sky” is the last piece on the album and a fitting way to cap off the experience. The plucky guitar sequence purrs against a backdrop of multi-instrumentation that is both inspiring and soothing. The finely constructed composition is like a finely carved instrument, eloquent and artful. 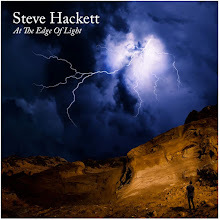 If you enjoy a blend of acoustic and steel lap guitar then you need to give this album a try. Michael Barry-Rec surrounds himself with stellar talent, creating an ambient listening experience that speaks to the love he has for music. This album is infectious with pure musical joy and one you won’t want to miss.